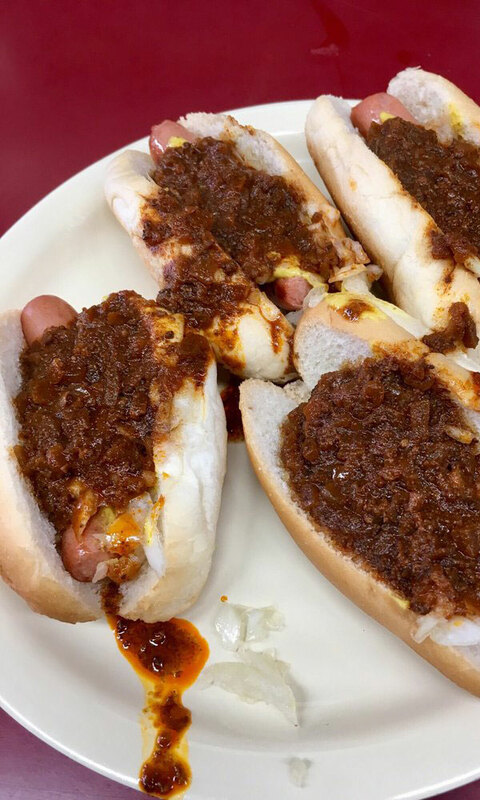 All the most delicious delicacies you can only find in Saratoga, Troy, Utica, Rochester and more. A few months after I graduated from college, I bought a plane ticket and flew to Madrid, Spain, where I set out to live and work for the year. I made peanuts teaching English to bored businesspeople in and around the city, and was constantly worried that I’d have to buy that dreaded return ticket. But I made the most of it: I learned to really enjoy the Spanish culture, language and especially, the cuisine. There seemed to be this overwhelming national pride for food and wine that was easy for me to get behind. It was the first time I’d experienced a culture that really took their culinary output seriously, whether it be the myriad types of tapas sold with cañas (small beers) at bars across the city; the national favorites such as tortilla española, manchego cheese and oxtail stew; and, as I came to learn, the many varieties of buttery, cured ham. These were all dishes that were completely Spanish; nobody else could lay claim to them; they were part of a Spaniard’s identity. My experience with Spanish food reminds me a lot of the various regional-only cuisines in Upstate New York. We might as well be a breakaway culinary republic. You see, here, we not only take pride in the fact that we’re not from New York City or some ritzy Big Apple wannabe suburb, but also that we have these great upstate-only dishes—the types one has to actually travel up here to enjoy in their purest or original form. Below, I’ve included eight cities in Upstate New York (and one wild card category), where regional delights abound. Did I miss any? Tweet them at me, leave them in our comments section on Facebook or just send me a care package to enjoy in the office with my team. If there’s one thing we love to do at saratoga living, it’s eat! I had to start with my hometown—and the site of SL headquarters. While we may’ve called its origin story into question in our “I Do!” Issue of the magazine, the Saratoga potato chip is definitely a regional food that we can get behind here. Saratoga Chips sells what it calls the original recipe in regional supermarkets—and you can get versions based on the original in most of the dining locations in and around our city. There’s also Saratoga Spring Water, which is about as Saratoga as it gets. You can find that all over the country—and well, a different, less-marketable type bubbling up from the ground here. Though the stuff that comes out of the water fountain in our hallway—and even the spring water you can get from the Spa State Park spigots—isn’t the same as the blue-bottled stuff, it’s all a satisfying Saratoga sip. A darker liquid that originated close by and is now enjoyed by the masses? Death Wish Coffee. I realize the Round Lake company didn’t invent coffee, but Death Wish—with the help of a Super Bowl advertisement (see below) and loyal fanbase—has been able to conquer the Joe market with it potent, strong-as-hell coffee. Upstate mornings will never be the same. If you have a sweet tooth, you’ve certainly come across a Peppermint Pig, which originated with the folks at the Saratoga Candy Co. Although they’re usually gifted and consumed during the holiday season, Peppermint Pigs can be purchased year-round. They even have names: Clarence, the fattest pig, costs about $21; Noel, a medium-sized oinker, costs $17; and Holly, the smallest one, goes for $8. Last but not least is maybe the most celebrated Saratoga food of all, the Dough Boy (which we’ve also seen styled “DoughBoy”). 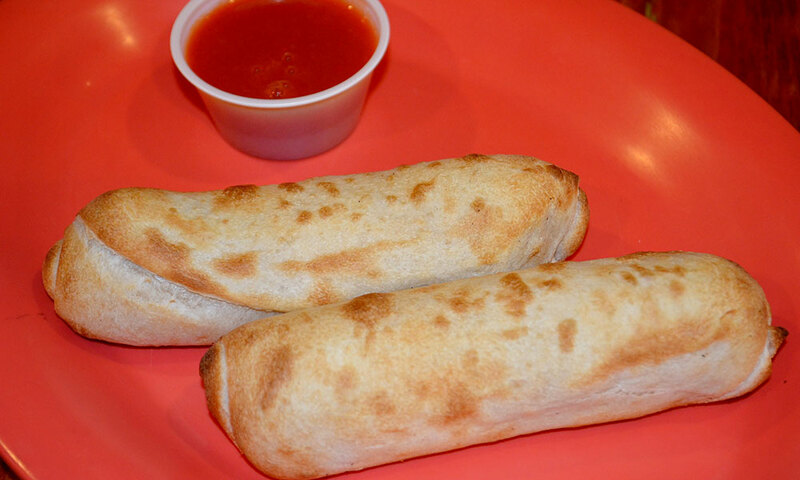 Gifted to us by the brains behind Caroline Street’s late-night haunt, Esperanto, in the ’90s, the pizza-roll-slash-chicken-burrito is now being sold at Stewart’s Shops across the Capital Region, so it’s hit the big time. Read all about its history in this web-only feature. About an hour and change west of Saratoga Springs is Utica, which has long since been known as a hub for some of the best Italian food in the region, but also has more than its fair share of regionally tinged delights. 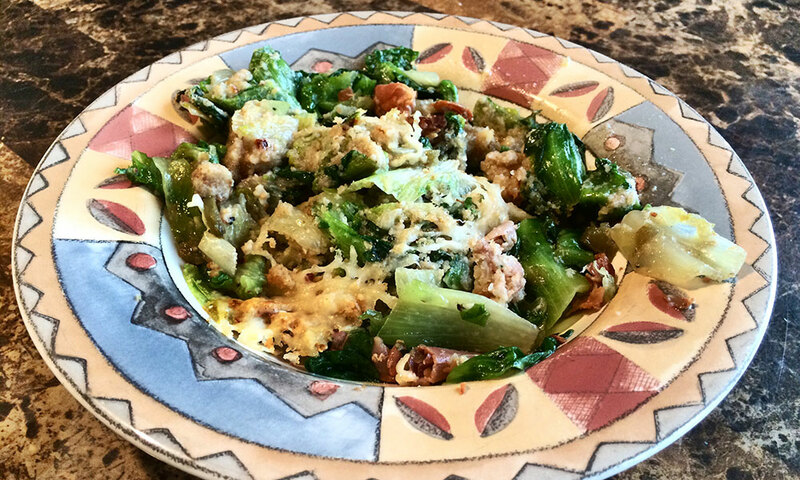 Let’s start with the lunch and dinner courses: If you order Utica Greens at any restaurant in town (I’d suggest Aqua Vino), you’ll get a mountain of escarole greens, mixed with parmesan cheese, breadcrumbs, hot peppers and prosciutto. It’s great as an appetizer. Another pre-meal fixer-upper? Tomato Pie, which is basically a melted-cheese-less pizza, topped only with red sauce and a light sprinkling of parmesan cheese (it’s sublime). Main course-wise, I’d suggest a big, heaping plate of Chicken Riggies, which includes morsels of oven-baked chicken, rigatoni pasta (i.e. 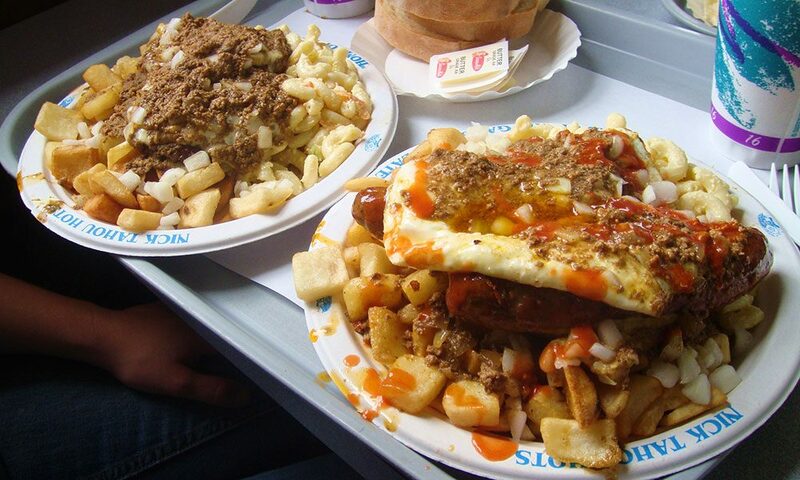 riggies) and a number of topping options, which include spicy or mild red pepper-based sauces or something comparable. If you’re a carb fanatic, take a stab at a bowl of salt potatoes on the side (you can also find these in nearby Syracuse). These are smallish potatoes, which are cooked in a salty brine, so that when they come out steaming hot, they’re covered in salt. I know from experience that they go really well in a backyard barbecue scenario, as a side-car to kielbasa or hamburgers and hot dogs (regular or Troy sized). And for dessert? Chow down on a Half Moon, not to be mistaken for New York City’s Black-and-White cookie. The Half Moon is less of a cookie than it is a cookie-shaped cake, with chocolate and vanilla frosting portioned out, 50-50, on either side, whereas a Black-and-White is usually more of a hard-cookie and -sugar combination. Plus, the base cookie-cake can either be vanilla or chocolate. The best place to pick them up is Holland Farms, but you can get ’em at Walmart, too. One might also want to cite Cornell Chicken, but its main proprietor, Baker’s Chicken Coop, only has a brick-and-mortar at the New York State Fair, which makes it difficult to try year-round. Then again, it’s stand is open from August 22 to September 3—and it’s been there for 69 years—so all you really need to do is take a road trip to get there before it flies the coop for another season. Get on it! 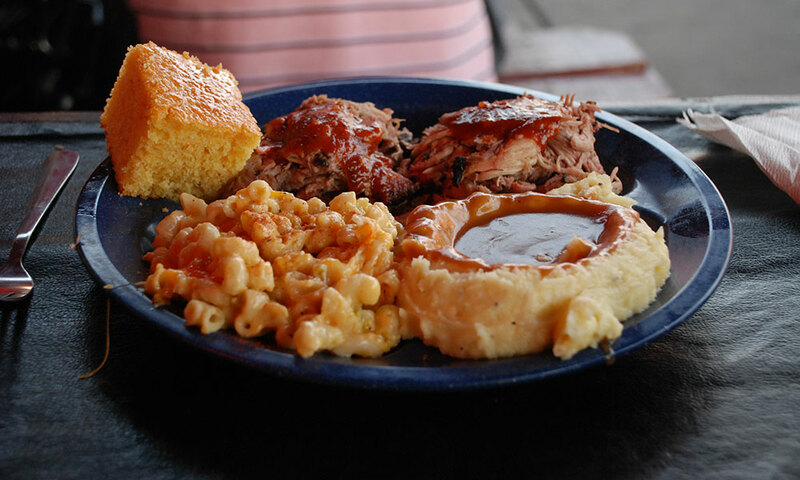 About 3.5 hours west of Saratoga lies Rochester, home to some of the greatest pig-out foods in all of Upstate New York. Case in point: the Garbage Plate, which dates back to 1918 and consists of the following battery of goodies all on a single plate: macaroni salad, home (or French) fries, baked beans, topped with ground beef and grilled onions (obviously, there are many different variations on the theme; Nick Tahou Hots is the originator, so that’s where we’d start.) If you’re interested in adding a little bit of beak to that plate, we’d suggest tracking down some chicken wings, grilling them up and painting on some Boss Sauce, a spicy/sweet concoction that’s been a local favorite since the early 1980s. Or if you like your bock-bock a different way, our suggestion would be the Rochester-centric Chicken French, which is basically just Chicken Francese, but we’re not going to complain. While you’re in the Rochester area, drive the hour and change southwest to Buffalo, another Upstate New York food-first hub. There’s obviously the famed Buffalo Wings, which you can get just about anywhere else in the world now, but are done the original way there. 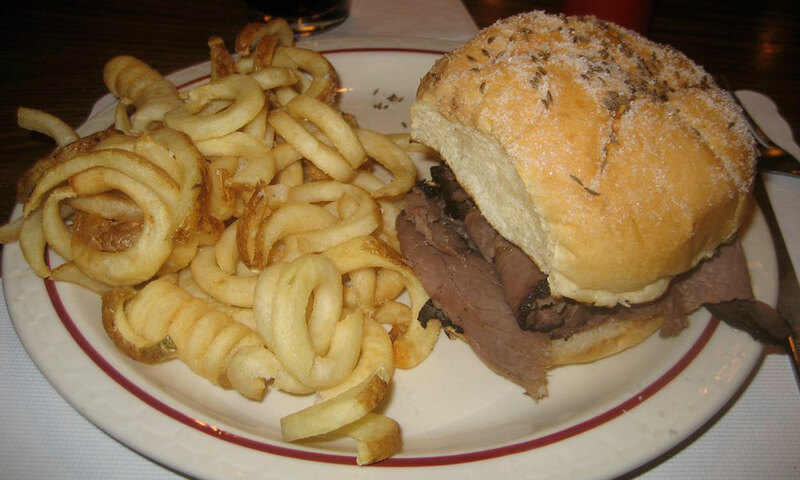 Chicken’s not the only protein that gets love in Buffalo: Another regional delight you won’t find anywhere else is Beef on Weck, which consists of rare, thinly sliced pieces of roast beef caked with horseradish on a kummelweck sandwich roll—all to be dipped daintily in a ramekin of au jus. For those that can’t wait to start firing up their backyard barbecue, there’s pretty much nothing that beats Chiavetta’s marinade, a Buffalo staple for more than 60 years, which goes well with pretty much any type of meat (my wife makes delicious grilled chicken with it). By now, you probably have the meat sweats, so it’s time to add a little something sweet to your palate. Buffalo’s Peppermint Pig is its Sponge Candy, a chocolate-covered toffee that has a honeycomb-like consistency to it (hence, the “sponge”). Fowler’s claims to have made the first sponges in town in the early 1900s, so go grab a bunch there and fan out. I included this “wild card” section, because there are a number of foods that are said to have originated in Upstate New York with no real finger pointed at who made what first. For example, I’ve feasted on at least three variations of Fish Fry, once in Troy—where franchise Ted’s Fish Fry rules the roost—as well as nearby East Green Bush at Off-Shore Pier. 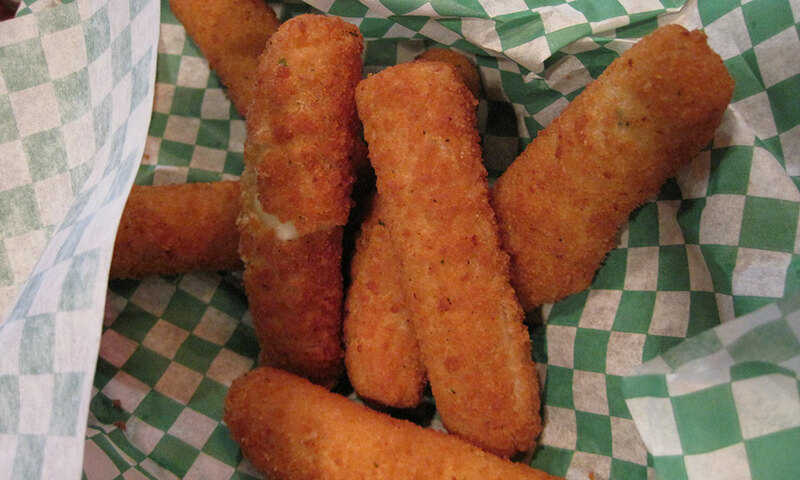 Then there’s the type I’ve eaten in Utica (see: Club Monarch, et al. 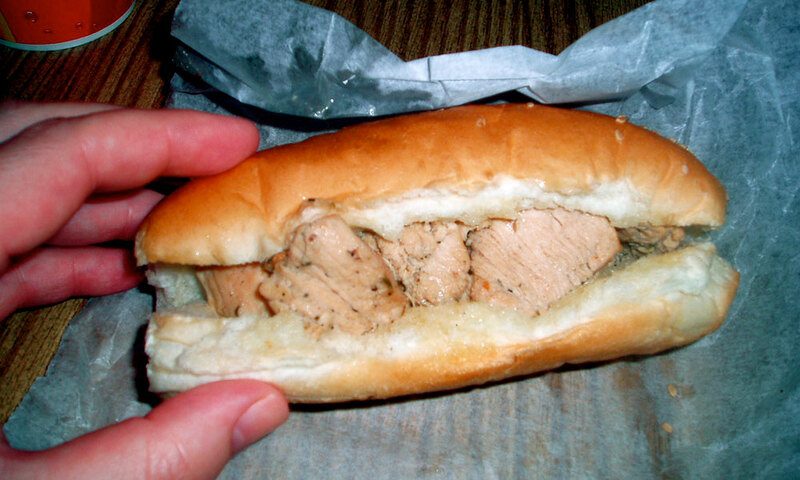 ), and it’s a completely different style of sandwich but equally delicious. Last but not least, the ubiquitous apple cider doughnut, which can be found all over the place up here, is a Capital Region staple, served best, in my humble opinion, in the fall, with a large, steaming cup of coffee or tea (my go-to dealer is Schuylerville’s Saratoga Apple).